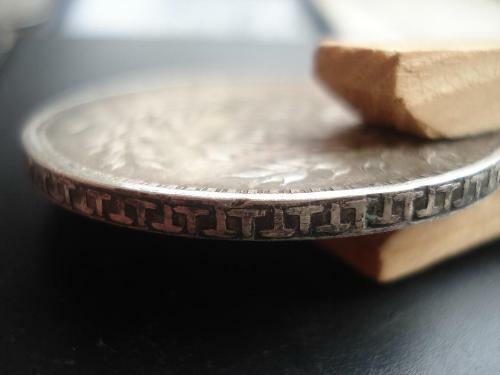 The Yuan Shi Kai silver dollar coin is one of the most commonly found Chinese silver dollar around the world, but paradoxically, there is few accurate information available about in English. 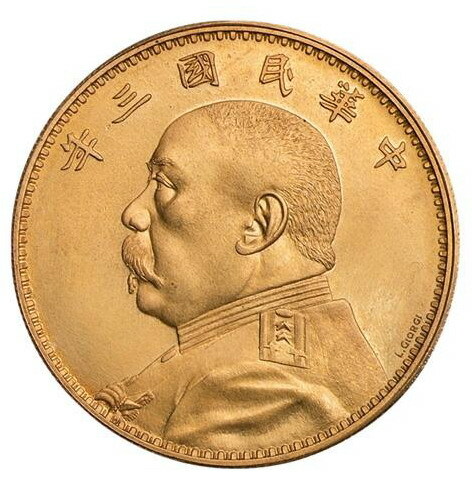 Called 袁大头 in China (literaly “Yuan [Shi Kai] big head”), and “Fatman dollar” in the United States, this coin was designed to put an end to the chaotic state of the Chinese monetary system and further the political agenda of Yuan Shi Kai, who had just taken over the function of President of the newly born Republic of China. 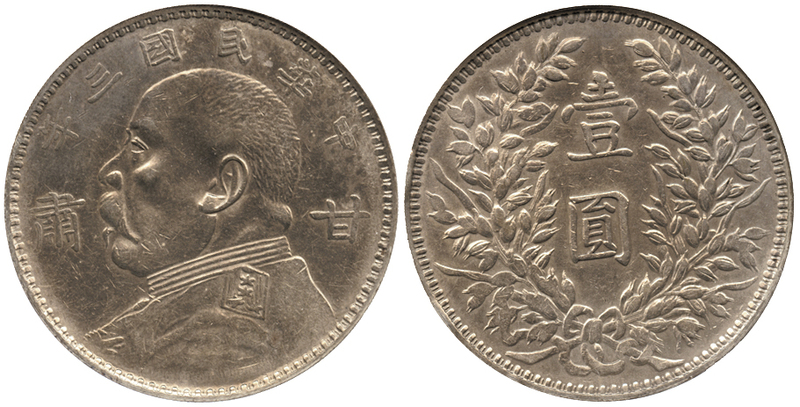 Introduced for Christmas 1914, the Yuan Shi Kai silver dollar had a standardized purity (0.89000 silver) and weight (26.4000g, .7555 oz ASW). Like the previous central imperial issues, this new currency would have to compete against the chinese silver dollars already in circulation, foreign trade dollars, and resistance from provinces using primarily copper currency or paper money. The introduction of the Yuan Shi Kai dollar coincided with the withdrawal and melting of about 280 million dragon dollars. The remaining dragon dollars, whose fineness was not always up to the standard, could be exchanged free of charge for the new Yuan Shi Kai dollar in all Bank of China, Bank of Communications branches or official provincial banks. These political measures helped the new currency to gain traction, but at the beginning of World War I, the Mexican dollar was still trading at a premium against chinese dollars, due to its use as a means of payment for exports. It is only after the War caused exports to plummet than the Yuan Shi Kai dollar was able to replace the Mexican dollar. The loss of the export markets also undermined the faith in the interprovincial paper money, which relied on external demand for local products, and caused the collapse of local copper currencies. These economical factors contributed to the outstanding success of the Yuan Shi Kai dollar, which gradually penetrated even the most remote provinces of China. 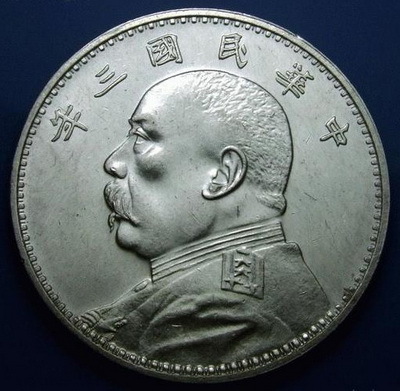 In 1924, a survey conducted by the Shanghai Bank found that of the estimated 960 million silver dollar in circulation in China, about 750 million were Yuan Shi Kai dollars. Like the imperial dragon dollars before it, the Yuan Shi Kai dollar was minted in the Central Mint in Tianjin, and provincial mints were given official sets of dies. Due to its success, the “Fatman dollar” was minted during a longer time than any of its predecessor, and in much greater quantity, so the worn out dies eventually had to be retouched or re-engraved. This lead to a lot of dies varieties, some of which became very popular amongst coin collectors. The 1914 Yuan Shih Kai dollar can be easily identified, even if you can not read Chinese, because it has only six characters on the obverse. All subsequent strikes have seven, due to the addition of the character “造” (made). 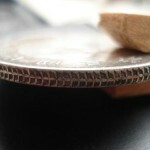 This series offers some of the most interesting die differences. The Central Mint in Tientsin issued some early pattern coins as a trial. 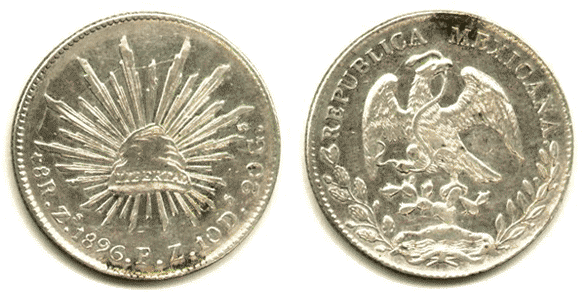 Some of these coins have an ornamented edge, with a “T” like pattern (T字边), other have an edge similar to the one of the then popular Mexican dollar that this new currency sought to replace (鹰洋边, “Western Eagle” edge). 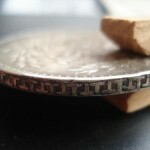 These coins are the scarcest and most expensive. Some of these trial coins also feature the signature of the italian engraver, L. Giorgi, who designed the coin. 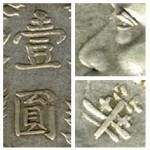 Most of the other die variations have been produced by provincial mints, and can usually be identified by looking at some details of the Yuan Shi Kai portrait. The design of the eyes and the 華 character (second starting from the right) are very different on the Kansu Mint die. 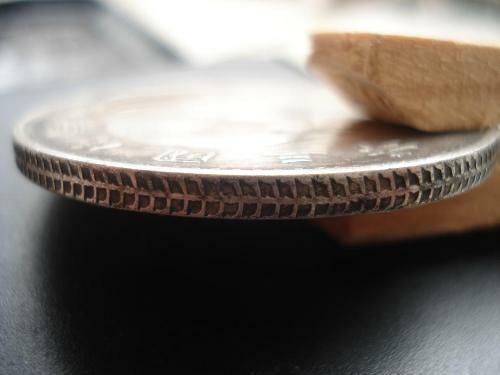 The coins issued by the Gansu Mint have a lower silver content than other Yuan Shi Kai dollar. They therefore circulated at a discount at the time, but ironically they are now more expensive than regular dollars due to their relative scarcity. The Gansu Mint also produced some coins with a custom die featuring the province name, which were quickly withdrawn by the government. This is now one of the most expensive versions of the Yuan Shi Kai dollar.